Two of the world’s top marketing experts reveal the next level of breakthrough success—transforming your marketing strategy into a standalone profit center. What if everything we currently know about marketing is what is holding us back? Over the last two decades, we’ve watched the entire world change the way it buys and stays loyal to brands. But, marketing departments are still operating in the same, campaign-centric, product-led operation that they have been following for 75 years. The most innovative companies around the world have achieved remarkable marketing results by fundamentally changing their approach. By creating value for customers through the use of owned media and the savvy use of content, these businesses have dramatically increased customer loyalty and revenue. Some of them have even taken it to the next step and developed a marketing function that actually pays for itself. 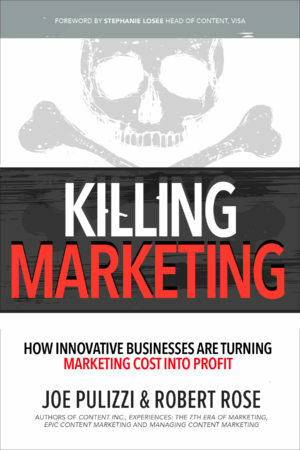 Killing Marketing explores how these companies are ending the marketing as we know it – in favor of this new, exciting model. “Killing Marketing brilliantly demystifies the full implications of content as a pre-eminent force in customer experience and business transformation in the post-Internet era.” – Carlos Abler, Global Content Marketing & Strategy Lead, 3M. What’s the surest way to startup failure? Follow old, outdated rules. In Content Inc., one of today’s most sought-after content-marketing strategists reveals a new model for entrepreneurial success. Simply put, it’s about developing valuable content, building an audience around that content, and then creating a product for that audience. 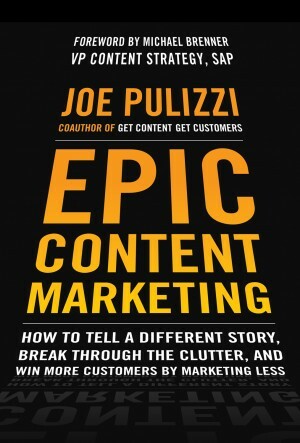 Author Joe Pulizzi flips the traditional entrepreneurial approach of first creating a product and then trying to find customers. It’s a brilliant reverse-engineering of a model that rarely succeeds. 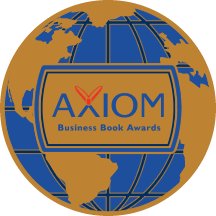 The radical six-step business-building process revealed in this book is smart, simple, practical, and cost-effective. And best of all, it works. 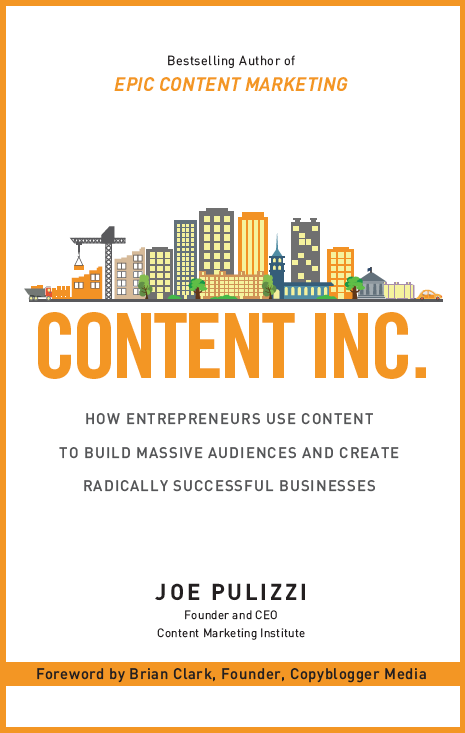 It’s a strategy Pulizzi used to build his own successful company, Content Marketing Institute, which has landed on Inc. magazine’s list of fastest growing private companies for three years straight. It’s also a strategy countless other entrepreneurs use to build their own multi-million dollar companies. Build an audience and you’ll be able to sell pretty much anything you want. No longer can we interrupt our customers with mediocre content (and sales messages) our customers don’t care about. Learn how to draw prospects and customers in by creating information and content they actually want to engage with. This groundbreaking guide gives you all the tools to start creating and disseminating content that leads directly to greater profits and growth. Check out EpicContentMarketing.com for more info. Let’s face it…content marketing is all the rage. Brands around the world are spending (on average) over 25% of their total marketing budget on content marketing. What’s been missing…until now…is the book that tells marketers exactly how to put content marketing to work. 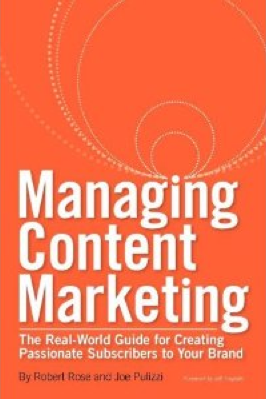 Managing Content Marketing shows you, in detail, how to manage content marketing within your organization. Whether you come from a small company or multi-billion dollar brand, this book gives you the ammunition and the ideas to develop a storytelling process that will create passionate subscribers to your brand. The rules of marketing have changed. Instead of loud claims of product superiority, what customers really want is valuable content that will improve their lives. 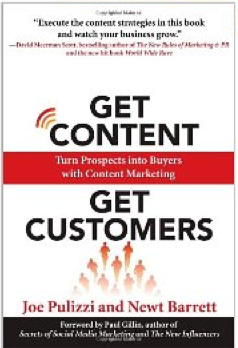 Get Content Get Customers explains how to develop compelling content and seamlessly deliver it to customers— without interrupting their lives. It’s the new way of marketing, and it’s the only way to build a loyal, engaged customer base.